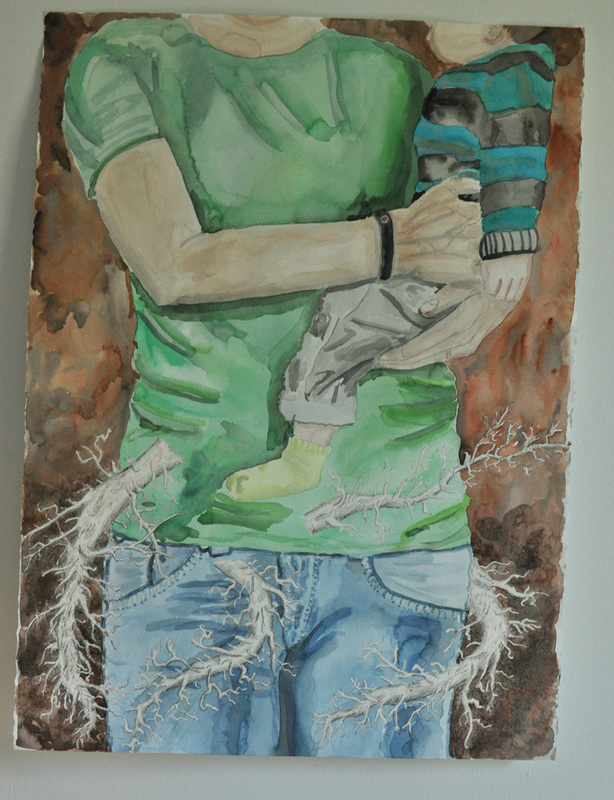 I finally finished my most current watercolor painting, Roots of Motherhood.” It’s one of the first large artworks I’ve done in quite some time, at a whole 22 x 30″. I have been working on it since March, slowly plugging away on it whenever I carve out the time. In other words, after children are in bed. 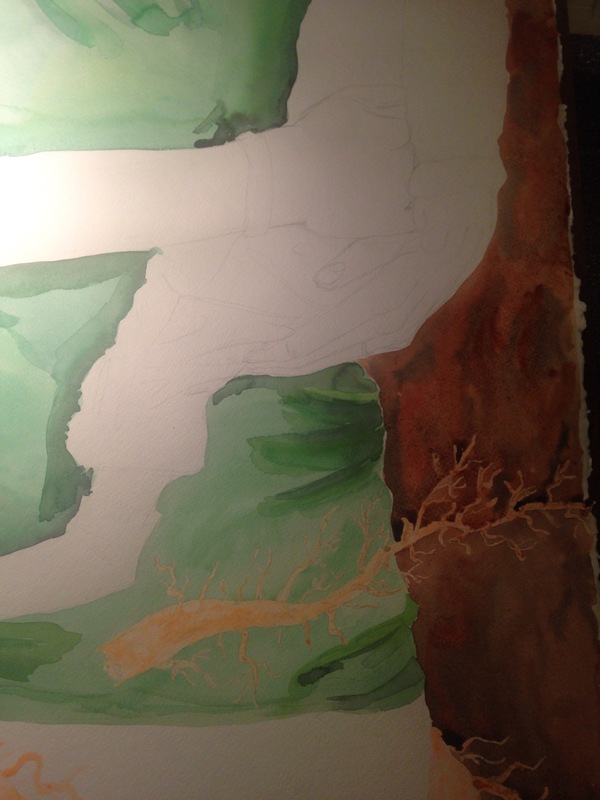 The downside of a long-term watercolor is letting the orange frisket masking fluid sit for far too long on the paper. I have a few orange tinged root sections, as a result. Photo credit: James Marvin Phelps flicker user. 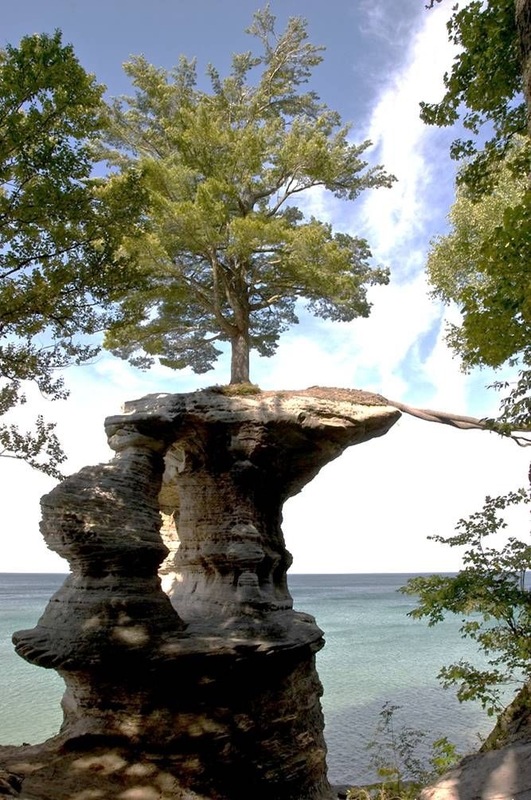 The idea came from a church sermon by Erin Gingrich on Chapel Rock, a unique geological formation on Lake Superior in Michigan. The original arch collapsed in the 1940s, leaving a tree with a root connecting a single tree to the mainland. The question in the sermon (if I remember correctly, because I was daydreaming about this painting) was, what would it look like if we had roots coming out of our hips?